My Dog Won’t Come Inside – Here’s What to Do! So, your dog won’t come inside when you call him. Maybe this is a pattern, or maybe it’s just today. Ether way, you’re left feeling perplexed or even frustrated. You want to know what’s going on because enough is enough. So, what’s the pup’s deal? Let’s eliminate a few possibilities before we dig too deep. Have you checked your house for ghosts? Is there a cat waiting for him with a water balloon behind the door? Maybe he is worried that it’s his night to empty the dishwasher? Think about what is happening from your dog’s point of view. What do you think comes to his mind when you say that? Dog’s don’t have frontal lobes so they can’t think and solve complex problems like a human can. It’s because of this that they associate that sound with something pleasant or not pleasant. When you say “come” you understand what that word means but your dog does not. They simply associate that sound with whatever reward you have conditioned them to. Or, maybe you haven’t done any or enough conditioning for them to even associate that word with anything. Come is one of the most important commands a dog can be trained to follow. It may even save their life one day is they start heading toward a road busy with traffic. If your dog isn’t coming when called then he is choosing to do something he’d rather do over listening to you. Dogs choose to do the things which give the best payoff unless trained to do otherwise. So to get him to come inside when you call him, you need to look at what is motivating him. Are you yelling for him to come or are you calling with a pleasant encouraging tone? Does he listen to the command when you are inside the house or only when outside? Do you say “come” (or similar command or name) over and over or do you issue the command only once? Does your dog need more exercise than he is currently getting outside? Is he misbehaving because he want’s more attention from you? Once you are able to figure out why he won’t come inside and is not listening to you in this example then you will be able to create a plan to modify his behavior. 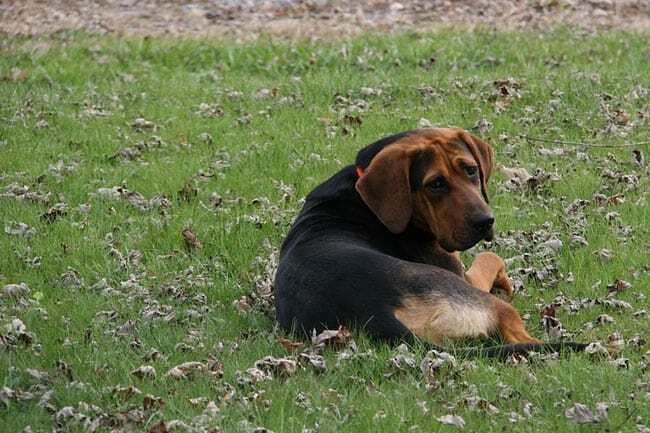 For the most part, a large percentage of the time dogs won’t come inside when called is because they are simply not trained well enough to understand that the command “come” means an amazing reward is on the way. When you make the sound “come” and I say the sound come because your dog doesn’t understand English. You can’t yell at him and rationalize how you are going to be late if he doesn’t come in right this second. 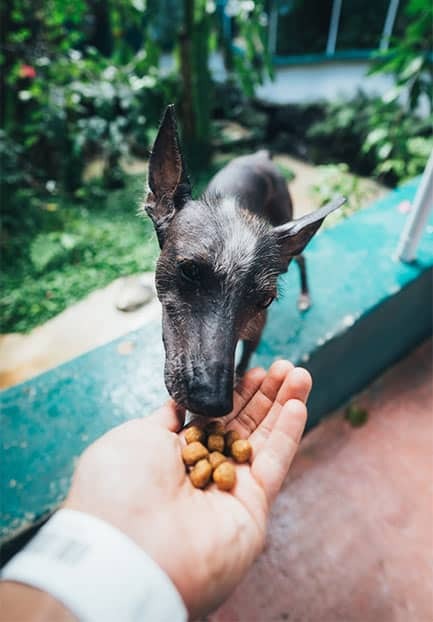 You need to make it clear to your dog that each and every time he hears that sound that he will get a nice slice of chicken breast lunch meat or something comparable. The motivation for him will be that eating this treat will be more fun than doing what he is doing. So get some lunch meat and head outside. Chances are if your dog is like mine he will already smell the meat in your pouch and he will be giving you his undivided attention. Get him to play and spend some time outside. Toss a ball or a frisbee, and after enough time playing simply have him sit for you. If he won’t sit, then you need to work on that first. It is generally easier to teach sit before come when working on basic obedience. You can find a great infographic on the theory here. The idea basically says that the more deposits you make into your dog’s obedience bank account the more willing he will be to obey you when he doesn’t want to. It is this obedience that we recognize as a well trained dog. So when you are playing and interacting with your dog during the day be sure you are making deposits all day long and save the withdrawals for when you need them. So to work on the command “come” while outside take a few steps away from him and present your treat. Dogs love chasing, so many times the simple step of backing away will get them to come to you. It’s important that you don’t move toward your dog, only away and toward your door. If he still won’t come inside encourage him with a happy tone of voice. Be sure he sees the treat. If he still won’t come you are too far away. Close your gap and try again. While beginning your training for the first time, you have to wait for the action to happen first before you say the command. It’s never too early to start, even with puppies going outside for the first time. This is so that your dog understands the action with the word. They have to come together. Saying the command first while your dog is standing there looking at it will reinforce that the command means to stand there looking at you. So, move backward and show the lunch meat, when he comes, feed the treat within 1 second and say the command. If he comes give him the treat and reward with praise. After you are confident he can do this you can begin to increase the distance you are away from him a little at a time. Don’t introduce going through the door into the house just yet. I want you to also play this same game with him inside so he knows that he will get the same level of treat if he is inside the house, not just outside. After a few days of inside and outside, and after you have tried this from a longer distance, shorten the distance. But do it across the threshold of the doorway you want him to cross for his treat. If he does it, success! All that is left is for you to increase the distance again so your dog comes and walks through the door. Following this method will work as long as you remember to never say the command “come” unless you are sure your dog will come to you. Giving your dog a high level reward will allow you to make progress and build deposits into your dog’s obedience bank account. This makes is so that he will choose following your command over doing what he wants. Remember to give it some time with success building along the way. And if your dog won’t come inside, you might want to let him off the hook for those dishes!